At the onset of what we all now know as World War Bee, there was a kerfuffle about the naming of the war. One of the names that was bandied about, but quickly got shot down, was “The Casino War”. The war is over and we have all talked about it more than enough, however, there is a precedent here that is interesting: the funding of wars with the use of casinos. If we boil this down further, it is the use of 3rd party of services of any kind that generate ISK for the funding of war. Many have raised their concerns (especially in the Goonswarm camp) about essentially an unassailable source of funds driving a war within Eve, arguing that the only way to combat it is to have your own gambling site and that this is not a healthy development for the game. Obviously, one might argue that there is bias involved in this view, but that does not invalidate the argument on its own merit. The counterpoints usually provided by the opposing camp tend to revolve around the theory that the only reason the war on the Imperium reached such a wide scale was the fact that many people in Eve simply didn’t like the coalition and its leaders, and that casinos primarily fund a great many services to Eve players, such as media sites (like CZ), podcasts, in-game events, streams, and so on. Where do you land on this issue? Should 3rd party sites or services, especially casinos, somehow be prohibited from funding in-game activities, or are they a natural part of our evolving ecosystem, reaching outside the game itself? 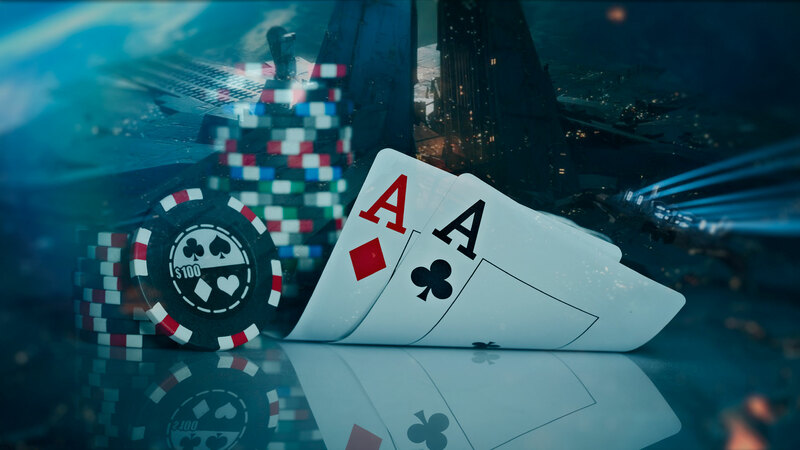 Put yourself in the shoes of an alliance or coalition that is attacked using gambling money, do you still feel the same way? JEFFRAIDER: If goons think any amount of isk would stop them from getting dumpstered, they are just as dumb as everyone knew they were. It’s hard out here for a pimp. Rixx Javix: What if a member of your Alliance is a rich person in real life? And they like to throw money around? How do we police that? Oh, that’s right, we can’t. Rich Uncle, stupid Cousin, Trust-Funds, Casinos, Tax Returns, Lottery winnings, I suppose all sources of income are the devil’s work. The only solution is pure communism and equal pay! Plus, where is this Casino money? I haven’t seen a dime of it yet. DireNecessity: I would point out that Casinos don’t generate ISK, they just move it around. ISK, all ISK, must be generated by hardworking Capsuleers in-game and then enticed out of their wallets via in-game transfers. Because something is organized/enabled outside of game doesn’t change the fact that, to be consequential, it must be completed in game. This is how Eve functions. A group like Goonswarm with out of game SomethingAwful.com origins criticizing another group for supposedly unassailable out of game location like IWANTISK.com has strikes me odd. Goons, as I understand them, have always taken great pride in their out of game comradery and until recently, that comradery was successfully deployed origin of their in game unassailability. This too is how Eve functions. Casinos aren’t uniquely different. Jin’taan: The recent CSGO gambling scandal raises real issues with the way gambling in handled in EvE. I will wait and see just how and if CCP chooses to address it. Tarek: I’m with Dire Necessity on this one. The ISK doesn’t come from nowhere. The argument that gambling is potentially addictive and should therefore not be endorsed is also a weak one in the context. Gaming can also be potentially addictive, and in this case the argument involves an MMO which is actually notorious for how far some of its players will go in terms of self-exploitation to succeed. To continue with activities at one’s own detriment while gaining a feeling of fulfilment from doing so is the very definition of a psychological addiction, and it can be observed a lot in EVE. We can not simply point at one manifestation of such behaviour as wrong while at the same time potentially harnessing another form of it. Now, as for being on the receiving end of an attacker who gets financed by some major ISK fund, how is that different from being on the receiving end of an attacker who is financing themselves through massive income streams generated within their organisation? For as long as EVE is a continuously developing game universe, there will always be “old money” that can be used to outspend an opponent. If anything, the gambling sites actually contribute to a more level playing field, because it will often be the people with massive wallets they have built over years who will spend ISK on gambling. If such money flows into the direction of Pandemic Horde or some other group that has many less affluent new players among them, then the result is positive as far as I am concerned. Niden: I think both Dire and Tarek leveraged good points and I’m not going to repeat them, suffice to say that I agree with them. However, there is one thing I think needs to be said here, a thing that I think it is critical that the community present a clear stance on: If CCP were to legislate somehow against casinos, that would be a mistake of worse proportions than Incarna. So why is this? Well, the very site you are reading right now, along a large number of other sites, podcasts, streamers and in- and out of game events are funded by these sites. We (and I’m not just talking about CZ here, to be clear) don’t have fancy deals with other gaming companies that generate income, we don’t have ingame organisations whose income is intertwined with our own, we live and die with EVE. A large portion of the money spent on casinos goes back into the community, allowing it to create all these wonderful things that we enjoy and that bind us together. Remove casinos the majority of that funding goes away. I think it’s disconcerting that this is not mentioned by the Goons and others pushing this issue, perhaps that has to do with the fact that TMC does not rely on casinos to pay their writers and streamers (yet). We’ve all seen Goon leadership stoop to smear-campaigning gambling sites over the past year or two (even before the war), yet, somehow, now it’s OK that they are launching their own (something they, in fact, have tried to do before as well) – a pretty grotesque double standard if you ask me. Would they be clamoring at the injustice of gambling-funded warfare if it was an offensive of theirs funded by it? I think not. Meanwhile, for many of us, it is the only means we can compensate our writers and content creators for the many hours of hard work they put into it. Essentially, gambling in EVE also means donating to the community, except you actually get a service out of it when you gamble. Because most people, believe it or not, know how to gamble responsibly and get a lot of enjoyment out of it.